As the days grow shorter and we’ve reset our clocks, we know Advent is right around the corner. Perhaps you’re already wondering where you stashed your Advent wreath. Do I have candles left over from last year? Here are our featured Advent 2018 resources. 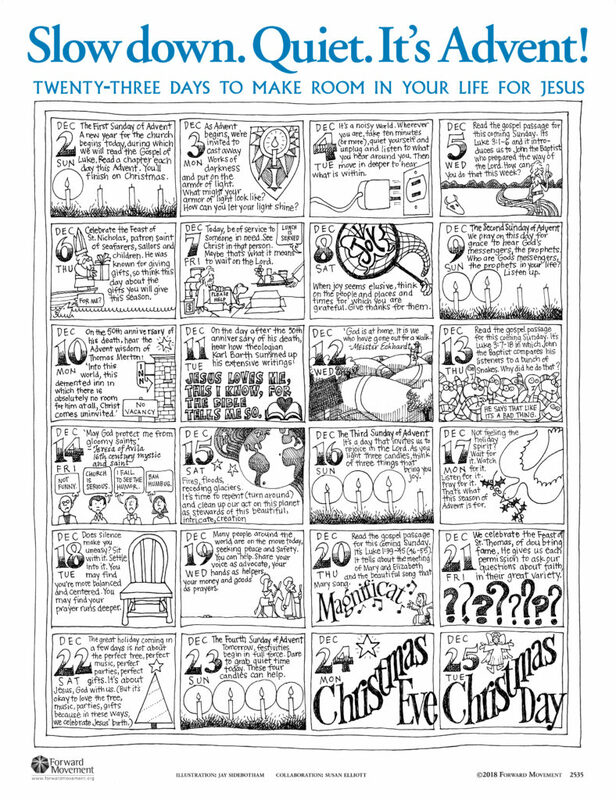 Created by Susan Elliott with drawings and text by Jay Sidebotham, this 2018 calendar poster suggests ways to mark the days through the Advent season. The calendar offers ideas for prayer, helping others, and being thoughtful about the true meaning of Christmas. Take our advice to your hearts and to your walls: Slow down. Quiet. It’s Advent! Perfect for the whole congregation! Shrink wrapped in packs of 25, posters are 17″ x 22″, folded to 8.5″ x 11″. Many of us have heard the story of Jesus’ birth, but have we lived inside it? 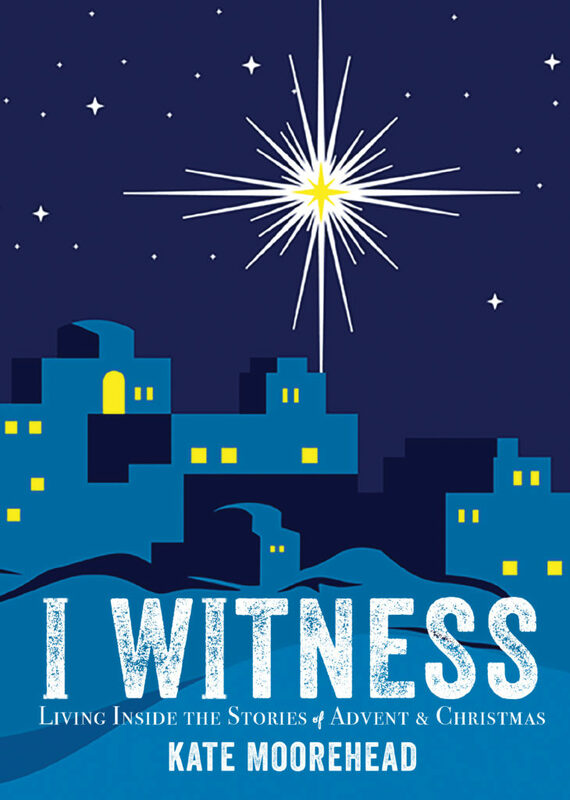 Episcopal priest Kate Moorehead invites us to enter the story of salvation with our hearts and minds wide open, experiencing the miracle of Jesus through the eyes of witnesses: Zechariah, Elizabeth, Mary, Joseph, the shepherds, the wise men, and others. And Moorehead encourages us to bear witness ourselves – both then and now – to the marvel and majesty of a babe born in a manger, of Christ our King. These daily devotionals offer a companion through the seasons of Advent and Christmas and urge us to keep reading, keep listening, keep learning. The story of Christ’s birth can be both familiar and new in each re-telling. Come and see. 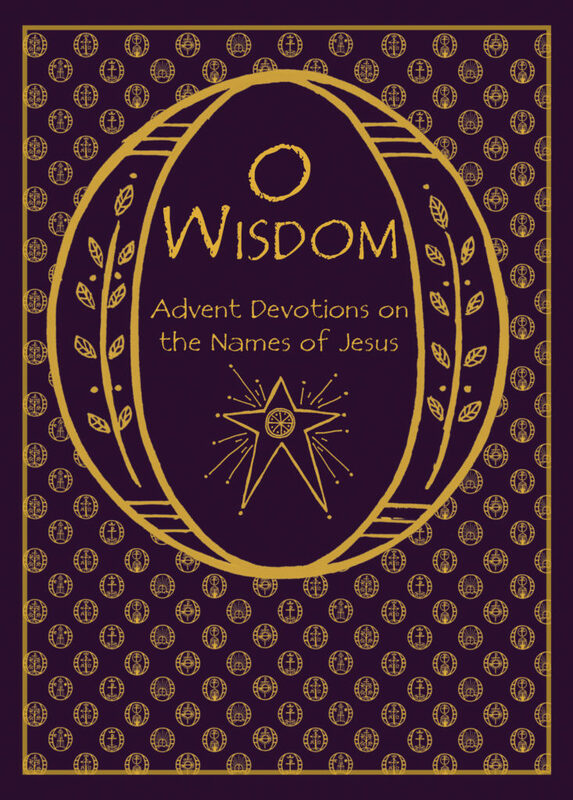 See all of our Advent resources–including books and pamphlets–here.